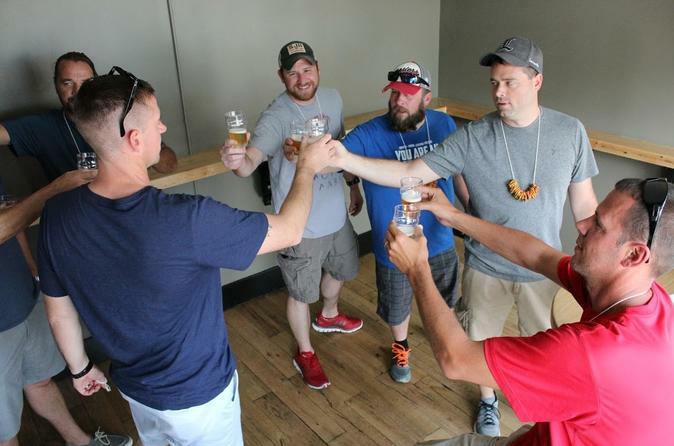 This tour is an all-inclusive craft beer tasting & brewery tour service in Louisville, KY. This tour features unlimited craft beer samples of all varieties of beer. Whether you are a visitor, a local, new to craft beer, or a full-on craft beer connoisseur, we promise a great craft beer tasting experience. Learn about the Louisville’s brewpub scene and taste different types of craft beer on these guided, 3-hour, small-group brewery tours. Choose your date, then visit three breweries that may include: Akasha Brewing Company, Apocolypse Brewworks, Old Louisville Brewery, Donum Dei Brewery, Monnik Brewery, Mile Wide Brewery. Join other craft beer lovers for an all-inclusive craft beer tasting tour. This is the most popular tour option and a great way to learn more about Louisville’s, taste great local craft beers, and experience Louisville’s unique craft beer culture. At each brewery stop, there will be an opportunity to taste flagship beers, as well as some new craft beer creations and seasonal specials. Depending on what day you want to explore, you will stop at the following breweries: Akasha Brewing Bompany, Apocolypse Brewworks, Old Louisville Brewery, Donum Dei Brewery, Monnik Brewery, Mile Wide Brewery. The tour lasts approximately 3-hours, with 45 minutes at each brewery.